Located only 100 yards to the beach plus BONUS private yard! Location....Location....Location. This 3 bedroom completely renovated home is a two minute walk to the Gulf. Simply Paradise is location is the second closest home to the beach in Emerald Shores! Easy access to the sugary white sand and emerald crystal clear water of Destin, Florida. Also this home has a huge yard to enjoy which is a true one of a kind amenity. Within two minutes you could be relaxing on the beach or relaxing poolside. The location of Simply Paradise is perfect! We pride ourselves on great customer service as I am a homeowner that manages my own home. I will personally call you after I confirm your booking to discuss your vacation needs:)**We are a family rental property only and do not rent to singles under the age of 25 and/or chaperoned groups, no exceptions. This beach home, Simply Paradise has been completely renovated! Luxury vinyl flooring on the steps and upstairs hallway and bedrooms with NO carpet! Upgraded kitchen with maple cabinetry, granite and stainless appliances including a convection oven! In the open living room we have a NEW 50 inch TV and it has been freshly painted in 2018. The living area is appointed with a QUEEN sofa bed and love seat with two lazy boy wicker recliners help our guests enjoy their stay. Simply Paradise has a large open floor plan on the first floor which is great for all guests to relax and enjoy their time together. A spacious gourmet kitchen with ample counter space makes it easy to make snacks or full meals while vacationing. Counter dining for four and a wood carved dining table with six chairs comfortably sits 10 guests for dining. The kitchen has a designer wood tile floor with a wood palm armoire to be used for a pantry while visiting. Our kitchen at Simply Paradise is fully stocked with everything you need to dine in comfortably. The master bedroom has a KING bed with attached full bath and is located on the first floor also has designer ceramic wood look tile floor with a wood carved KING bed. Included is a 32 inch wall mounted flat screen TV, DVD, reading chair and large double closets. The full bath on suite has large tub, shower and had been fully upgraded with mahogany finished vanity, granite counter top, back splash, sink, faucet, and designer wood like tile floor. NEW door(October 2015) opens to a patio that overlooks the expansive yard that is a prime feature of this property. Enjoy your morning coffee overlooking your tropical view! Also the first floor has full size laundry room for your convenience with complimentary laundry detergent, iron and ironing board. A half bath with pedestal sink, faucet, toilet and designer wood porcelain tile floors complete the first floor. Enjoy one of the two first floor porches as well. We have a charcoal grill and also a propane grill(we provide the propane ask for details) for you to use. We have a picnic dining table and front porch patio furniture to sit and relax enjoying your morning coffee or reading a good book! A wagon is provided with two beach chairs and beach toys to share with our guests who stay at our beach home. Two additional bedrooms are located on the second floor. Both bedrooms open with NEW doors added October 2015 to a private extra wide balcony overlooking the expansive yard. One bedroom has a beautiful palm tree adorned KING bed, 32 inch flat screen TV, DVD and large closet. The second room has TWO FULL beds also with a 32 inch flat screen TV, DVD and large closet. This room also has a NEW door added October 2015 to access an over sized balcony with patio furniture to relax and enjoy this bonus private space. A second floor bathroom equips with tub, shower and had been fully upgraded with mahogany finished vanity, granite counter top, back splash, sink, faucet, toilet and beautiful slate porcelain tile floor. In the second floor hallway a desk, chair and large mirror is a convenient computer station or makeup area that has been added in 2016 for our guests to enjoy. Emerald Shores is the only neighborhood in the Destin area with its own private pavilion on the beach. The pavilion offers bathrooms, rinse showers, picnic tables, sun deck, and a Cafe (offering cold drinks, snacks and food items), plus private deeded beach owned by the subdivision. During summer months Emerald Shores offers a FREE shuttle service to take you to the beach. Since this home is only 200 yards to the beach you will not even need the shuttle because Simply Paradise is on the closest street to the beach! The short walk to get to the beach is easy while using our wagon to transport all your beach items. Beach service (umbrella and chair rental) is available for a fee or you may bring your own. Come enjoy your vacation at Simply Paradise. Great customer service is very important to us and your happiness is our number one concern. Take a look at our positive reviews we have from guests. Call today to book Simply Paradise for your upcoming vacation! For additional information about our gated community of Emerald Shores and Simply Paradise look us up Emerald Shores By Owner. Destin is ... Simply Paradise! My husband and I were both born and raised in Cleveland, Ohio. Married for 33 years and have two children who are both married and have recently welcomed a new grandchild into our growing family! We are truley blessed. We plan on making many more family memories of our own at our homes Secret Paradise and Simply Paradise! We love the change of seasons up north but always vacationed at the beach. Destin is the perfect beach destination and once we found it we had to spend more time in this place we call paradise! We spend as much time as we can at our beach homes in Destin and are happy to share it with others when we are not there. ​Come see why we call Destin our Secret Paradise! We love the change of seasons up north but always vacation at the beach. Destin is the perfect beach destination and once we found it we had to spend more time in this paradise. We take pride in great customer service and enjoy helping each guest with their perfect vacation so please call us to discuss your travel needs! We fell in love with Destin Florida when we vacationed here in 2008. We purchased this home in July of 2012. Simply Paradise is located only 100 yards from the beautiful sugary white sand and emerald water. The location of this home is perfect. Emerald Shores has the beach pavilion that makes this neighborhood one of a kind, The conveniences of two pool, pavilion, tennis court and basketball goal makes it the best gated community for our family. Location is the key to this home, it is the second closest home to the beach. Also this home has a huge side yard which makes it so unique. The two side porches overlook the expansive yard which is great for grilling and relaxing. These features made it the perfect home for us to purchase. This home features 2.5 bathrooms. All new and completely remodeled in October 2012 including new mahogany cabinets in full bathrooms with granite counters, new sinks and new faucets. All new toilets in home and new pedestal sink and faucet in half bath. We provide all bath linens but bring your own beach towels. ONLY a 2 minute walk to the beautiful Gulf of Mexico! We are located on the closest street to the beach! Fully stocked kitchen including, coffee maker, blender, toaster, can opener, hand mixer, griddle, crock pot, waffle maker, complete with new dishes and bake ware. Expansive grass private yard to enjoy while vacationing. A true one of a kind in the neighborhood. Read our reviews on how much families enjoy this BONUS yard! Second floor extra large balcony off both second floor bedrooms. Boat and pontoon rentals available at Harbor Walk village! Onsite tennis court located in the neighborhood, walking distance to home. Please bring your own rackets and balls for tennis. Multiple golf courses within a couple of miles of our home. Our family had a great time!! This is a perfect house for 3 couples. Our group loved the house and the small yard. The owner had everything you need to enjoy time to eat in or grill if that's would you like. Being able to go buy fresh local seafood and bring it back to the house was simple and fun. Also, the owner has a bunch of games that was great enjoyment in the evening with a few cocktails. The local fresh seafood is amazing and happy you enjoyed our stocked kitchen and grill to enjoy it. Game night is a fun activity for the evenings and glad you used the many games we provide:) We look forward to your return to make more memories at Simply Paradise! Also thanks for the suggestion about adding a hairdryer! I just ordered wall mounted hair dryers for the home and will install them when I am in town this May:) I appreciate your feedback! If your group is larger next visit keep in mind we have another property in Emerald Shores, Secret Paradise 5 bedroom, 3 1/2 bath! 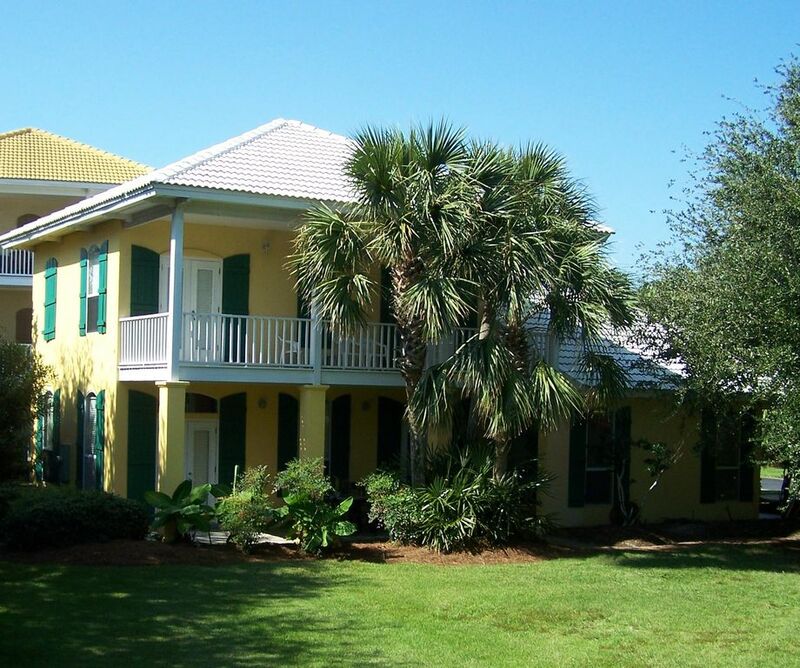 We have rented numerous homes in Emerald Shores over the years, and this is our favorite. It's very lovely in every way and extremely convenient to the beach. Great backyard! As is nearly always the case in a rental situation, it would be great to have a dining room table that accommodates more; however, we made it work. Linda is a gem, and I would highly recommend this vacation rental. We are happy our home is your favorite in Emerald Shores! Also happy you enjoyed our large private back yard! On your next visit if you would like my cleaning staff to bring down the extra table on the porch for more seating on the first level let me know and I would be happy to assist:) Good customer service is so very important to me so never hesitate to ask next time you return to Simply Paradise. Just wanted to tell you how wonderful your house is and it worked perfect for the 6 of us. The boys loved the backyard. The 4 year old loved all the beach toys. The kitchen had everything we needed. Loved the distance from the house to the beach. We saw and did a lot in the week. We would recommend the Buccaneer Pirate Cruise. So much fun. Thank you for all your help with my questions. We are all having beach with drawl today. Can't wait till we can come again and stay at your home. The house was convenient to the beach, to old and new Highway 98, to the Factory Outlets, to the Bass Pro Shop, and to grocery stores. The layout was great for us and it was recently upgraded. It had a well furnished kitchen and also all necessary beach accessories and a large private back yard for playing with the grand children! The best part is being able to park right in front of unit to load and unload, but able to walk to the beach. Would definitely rent it again. Our home Simply Paradise is very conveniently located to all the area attractions! It sounds like you also made the most of our large private grass back yard to play with the grandchildren too! We are happy to hear you would definitely rent our home again:) Looking forward to hosting your next vacation to Destin! Zoom in on google map to see how large our private backyard is at our home Simply Paradise!! Truly a one of a kind feature. Walking distance to many water front RESTAURANTS, Pompano Joe's, Captain Daves, Crab Trap to name a few, all within one mile or less to the door. Kenny D's restaurant is only 200 yards from the home. Many SHOPPING options within 2-3 miles of home including Destin Commons (outdoor upscale shopping with state of the art 14 screen movie theatre), Silver Sands Outlet (100+ designer outlet complex, nations largest! ), The Village of Baytowne Wharf (boutiques and dining located in Sandestin Resort community), Destin is known as 'The World's Luckiest Fishing Village' with Destin HARBOR located only ten minutes from home includes, Harborwalk Village, charter boats, sunset cuises, jet-ski rental, water sports, snorkeling, shopping, dining, live entertainment, Also Championship GOLF courses are located minutes from Simply Paradise, TENNIS court onsite and multiple other tennis options within miles of home, WATERPARK Big Kahuna is located ten minutes away.